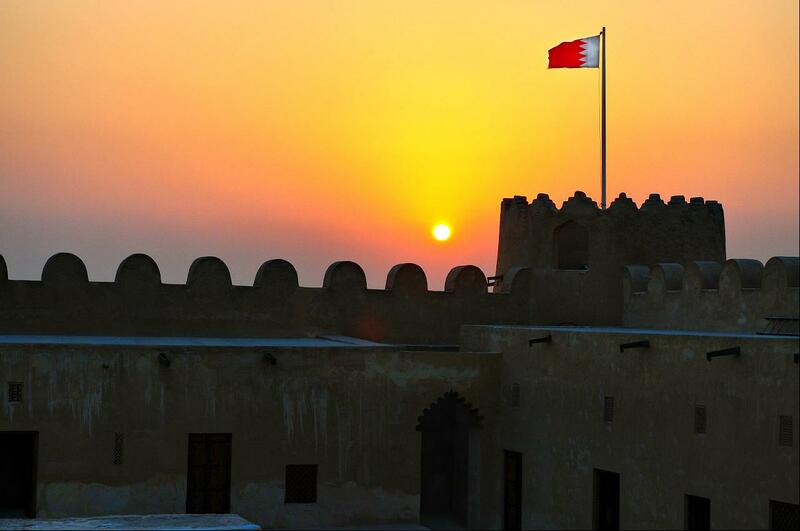 Bahrain - Photographs - Where in Our World? 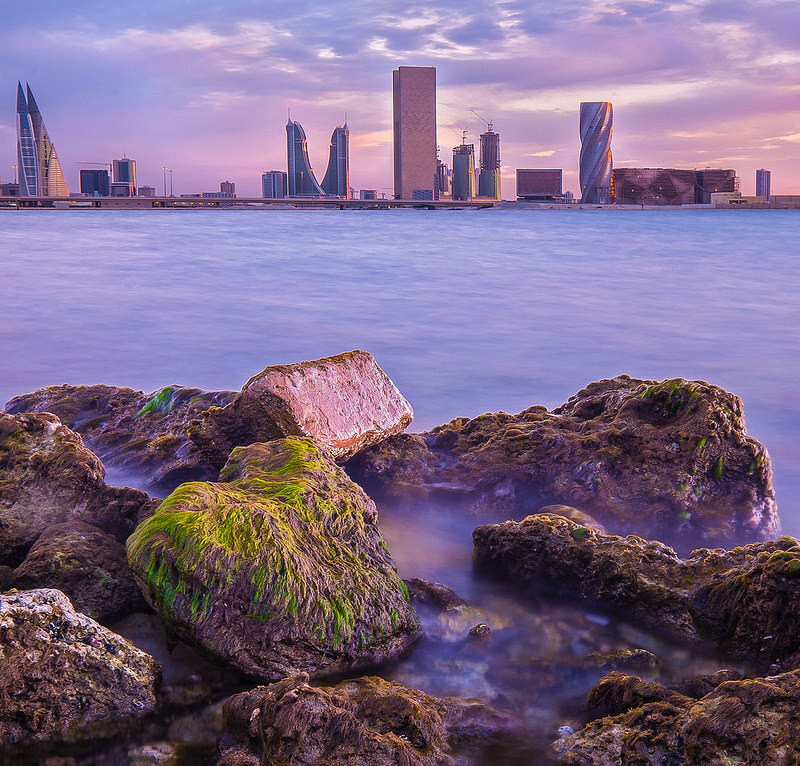 Manama is the capital of Bahrain. There are a lot of tall buildings in Bahrain. There are hotels, office blocks and apartments. This building is the Bahrain World Trade Centre. It is the first skyscraper in the world to put wind turbines into its building. 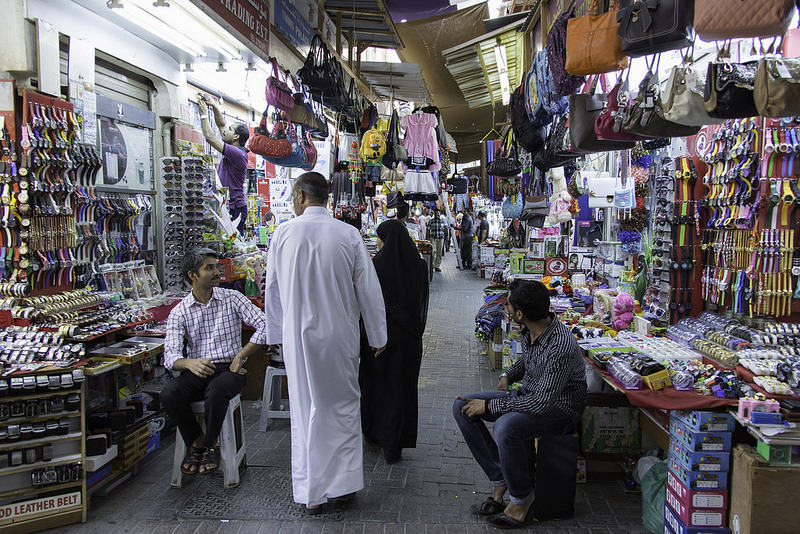 You can buy traditional clothes, spices, jewellery, crafts and souvenirs in the souq. There are also cafés and restaurants. 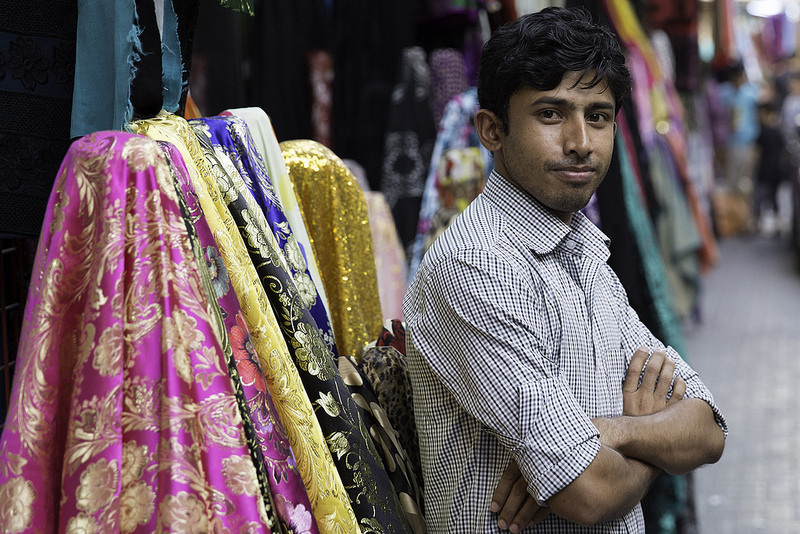 Some shops have fixed prices but in other shops you will be able to haggle to get the best price. It is part of Arabic culture to haggle so shopkeepers will expect you to give it a go. Lots of bright yellow gold, white gold, silver and platinum jewellery are sold in jewelry shops. There are necklaces, bangles and earrings to be found. Some of this jewellery is bought as dowries for weddings. If people have to sell the jewellery for any reason they can bring it back to the shops, the shopkeepers will weigh the gold and give the owner a price. People can also have jewellery made for them. ​The biggest prehistoric cemetery in the world in thought to be in Bahrain. Below is a photo of the mysterious burial mounds that cover the ancient remains. 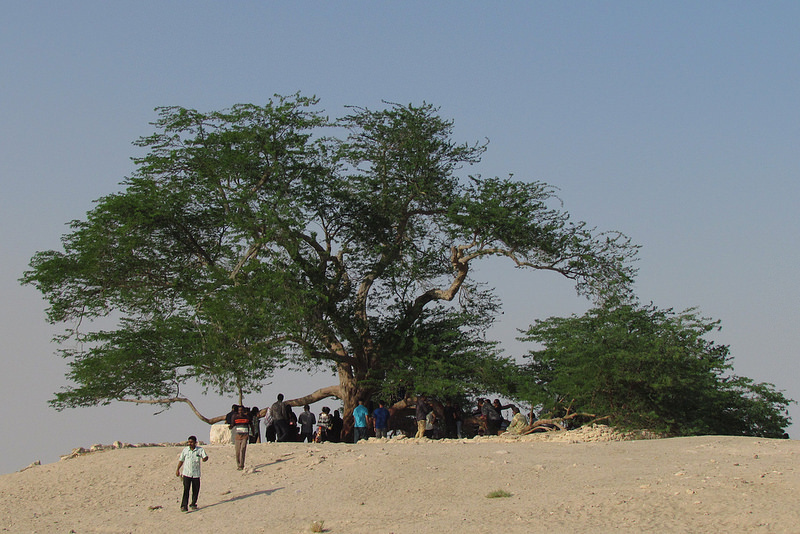 The Tree of Life (Shajarat-al-Hayat) in Bahrain is about 400 years old. The tree stands on top of a sandy hill that formed around a 500-year-old fortress. 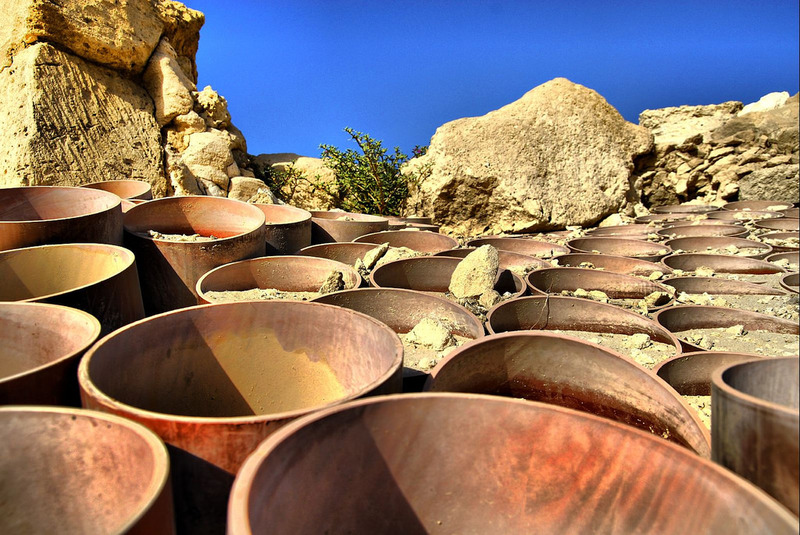 Archaeologists have found pottery and other artifacts in the area that may date back to the time of the Dilmun civilisation. The former capital of Dilmun was located here. 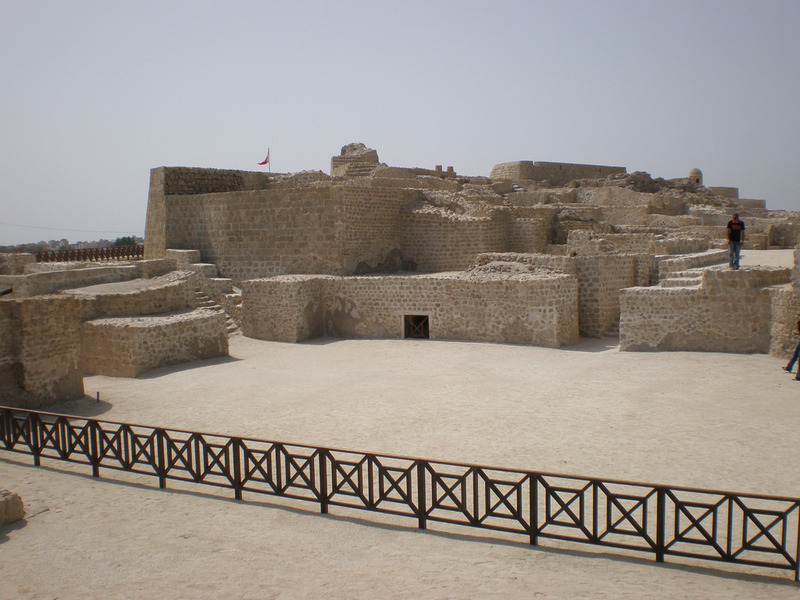 A fort was built later as the area was of strategic importance. Archeologists have found buildings such as houses and shops in the area. 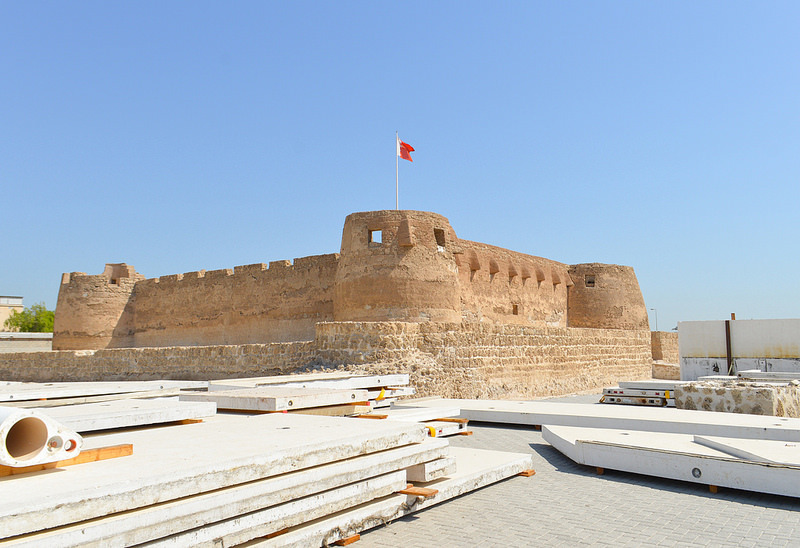 Long ago this fort played a major role in defending Bahrain from pirates. There were fierce battles fought here. The Barbar complex has three ancient temples. They were built on platforms, organized around a courtyard. It was thought that the Mesopotamian God of wisdom and sweet water Enki was worshiped here. Camels have always been very important in Bahrain. They were used to transport the Bedu (Bedouin) and their belongings. The camels in Bahrain are one-humped camels. They are called dromedaries. They are domesticated animals which provide milk, meat and hair for their owners. Their dung can also be burned to provide heat. They used to bring people and goods from place to place. Camels can live in hot, dry climates because they do not need much water. Therefor they are ideal for countries such as Bahrain.